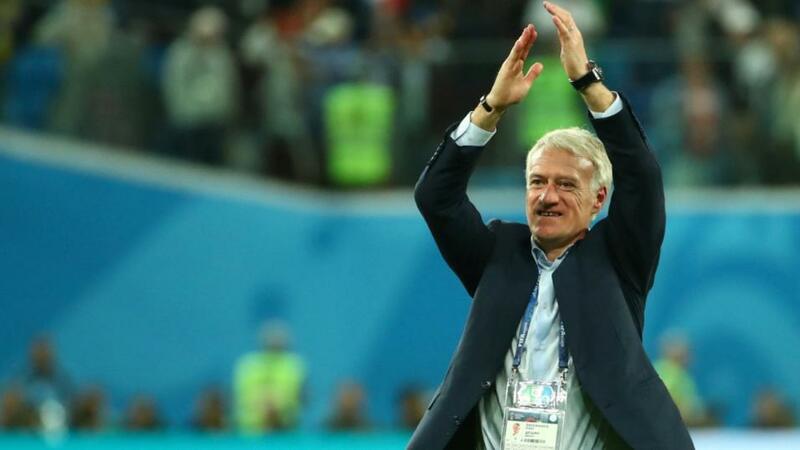 Will Didier Deschamps be applauding after France's match with Moldova? Dan Fitch is backing the World Cup holders, France, to deal with Moldova as he previews Friday's Euro 2020 qualifiers. "The World Cup holders France failed to make it to the Nations League finals after being pipped by Holland, but they should easily top Group H of the Euro 2020 qualifiers." With England the favourites to top Group A, the second automatic promotion place looks a fairly open contest between Bulgaria, Montenegro, Czech Republic and Kosovo. Bulgaria finished second in their Nations League group, only losing once away at Norway during their campaign (W3 D2). They have lost just two of their last twelve home games (W9 D1) and look a good price to claim three points. Both Albania and Turkey are in poor form. The home side only won two of their nine matches in 2018 (D1 L6), while Turkey have won three in eleven (D5 L3). With the result in doubt, it seems best to bank on this being a low scoring game. Four of Albania's last six matches have been goalless at half-time, while the same has been true in three of Turkey's four most recent games. Back the 0-0 half-time score at [2.46]. Iceland have not won a game since beating Kosovo in October 2017, but have a great chance to pick up a long-awaited win when they travel to Andorra. The Andorrans have only won one of their last 14 games (D6 L7) and that was against Liechtenstein. Luxembourg were one of the success stories of the Nations League, winning three games in League D, as they flourished when up against opponents of a similar class. It is testament to their progress that they are rated as favourites against a Lithuania side that were in League C, before being relegated. The Lithuanians lost all six of their Nations League games and have only won one of their most recent 20 matches (D2 L17). Luxembourg's price is big enough that you can back them in the Draw No Bet market at [1.71]. The World Cup holders France failed to make it to the Nations League finals after being pipped by Holland, but they should easily top Group H of the Euro 2020 qualifiers. France will surely kick off their campaign with three points against Moldova. Finding value for a French victory is tough, so back them to put in a dominant performance and win both halves at [1.91].